Picking the right industrial fasteners for your job can make a huge difference in how well it goes. There are many factors that go into finding the right industrial fasteners and knowing which ones and how to use them depending on what your base materials are. You will have a lot of choices from light weight, middle weight, and heavy weight commercial fasteners and depending on what you are using them for choosing the right will help the job go smoothly. Luckily there are plenty of fasteners services that can help you find the right commercial fasteners to do the job. To begin with you need to determine which type of fasteners you need to use. For a concrete job you want something that will fit into the hole that will be drilled into concrete and will then expand to fill the drilled hole. 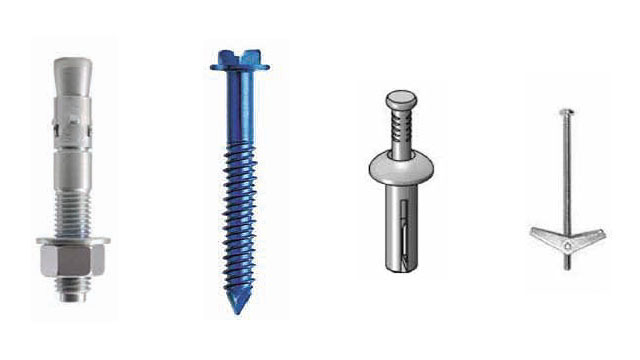 Somethings to consider when you are looking at fasteners is the base material, the weight of what you will be fastening to the concrete and also what the environment is like and what style of fasteners will hold up and work the best. You will also want to consider a couple of other things like how old the concrete is as this can determine what type of anchor you will use. Also consider the thickness of the concrete and whether the base material is brick or block. If the base material is brick or block you can use the same anchors and fasteners. You want to know the thickness of the concrete because that will determine which type of fasteners you will be purchasing and how long they need to be. Once you have determined the diameter of the fastener that you will need, which depends on how heavy the object being fastened to the concrete is you can embed the fastener into the concrete. You will have to drill a hole in the concrete that is big enough for the fastener but that is not too big or too dip as that can compromise how strong the fastener will hold. You will want to embed the fastener deeper into the concrete for heavier objects. Also remember to consider the elements when you are picking your fasteners. You will want to use different types for indoors and outdoors jobs as some fasteners will rust quicker than others. For the best supply in Augusta Fasteners visit our shop today.